A fair financial deal on divorce - what does that mean? A Fair Financial Deal on Divorce – What Does that Mean? That is a question asked by everyone contemplating a divorce and the answer is certainly not straightforward. There is no formula to calculate who should get what. Every case is assessed on its own facts. The starting point is equality but a straight 50:50 split of the assets may not achieve fairness in every case. Where the assets are modest needs commonly provide a justification to depart from an equal split. For example a case where the Wife has given up her career to be the primary carer to the parties’ children and the Husband has been able to climb the ladder at work and build up a much bigger pension pot. If the assets in such a case were split 50:50 the likelihood is that the Wife who will have a more limited mortgage capacity than the Husband may not be in a position to re house. In some such cases to meet the Wife and children’s needs the Husband may have to transfer all of his available capital, such as a half interest in a house to the Wife. He might be left with income and perhaps pension intact or that may be shared with the Wife too if it would otherwise cause her undue hardship. Meeting reasonable needs where assets are modest can be difficult. In such cases the court can consider all assets, not just those accrued during the marriage. An overall objective is to look to place both parties on an equal footing to achieve independence. Where there is plenty to go around it may be possible to argue that non-matrimonial assets such as inheritances, gifts, pre-acquired property or property earned after the marriage is over should be ring-fenced from division because reasonable needs can be met without recourse to those other assets. In the famous case of White v White, which set down the equality principal and said that there should not be discrimination between the breadwinner and the homemaker save for in exceptional circumstances, the end result was actually an overall split of 60/40 in the husband’s favour. This recognised a substantial gift of capital by the husband’s family. But there is another situation in which assets might not be divided equally. This is one which has had a lot of media coverage lately and where one party alleges they have made a ‘special contribution’ also sometimes referred to as the “stellar contribution”. A party would need to show that he/she has made a contribution to the couple’s wealth which is “unmatched by the other,” and it would be unfair to ignore this and wrong to divide the assets equally even if the money was all earned during the marriage. Such cases are exceptional but have been successfully argued to include by way of example Michael Cowan, who introduced bin liners to this country who was awarded 62% of the couples £12m fortune because “his contribution, in terms of entrepreneurial flair, inventiveness and hard work, was truly exceptional” and Sir Martin Sorrell who was awarded 60% of a £75m fortune after a marriage of 33 years as he was “regarded within his field and the wider business community as one of the most exceptional and most talented businessmen”. Mr Justice Bennett in the Sorrell case said the “true explanation for this extraordinary success story is that the husband does possess the ‘spark’ or ‘force’ or ‘seed’ of genius”. In 2014, Jamie Cooper-Hohn, ex-wife of Chris Hohn, the billionaire founder of hedge fund The Children’s Investment Fund Management, was awarded just 36% of their $1.5bn fortune; the court recognising Mr Hohn’s special contribution. Last month Randy Work an American banker, who had amassed a fortune which was valued at divorce at £140m, lost his argument that it was his ‘genius’ that had earned the fortune and therefore he should have a larger share of the matrimonial assets. He had been married to his wife for 20 years. Mr Justice Holman stated that the contribution made by Mr Work was not “wholly exceptional” and awarded that the matrimonial assets be split equally between them. Holman said. “To my mind, the word ‘genius’ tends to be overused and is properly reserved for Leonardo da Vinci, Mozart, Einstein and others like them.” Mr Work sought to change the split to 61/39 in his favour and appealed to the Court of Appeal but his appeal was dismissed. Similarly Laura Ashley chairman Khoo Kay Peng failed in his bid to have his genius recognised by the courts and was required to settle for £64m, the court sticking to the precedent from the case of White that there should be no discrimination between the breadwinner and the homemaker. Only last week did the court again refuse a Husbands argument that he should pay his wife any less than half of their worth, gained in this case, from the husbands work in the oil and gas trade. The parties’ names remain anonymous. The Husband sold his shares in his Russian company for $1.4bn in 2012. He was ordered to pay his wife a settlement of £453 million. Ryan Giggs is currently in the process of divorce and has told the court that he intends to argue that he should be awarded more than half of an estimated fortune of £40m following a 29 year career with Manchester United. It remains to be seen whether the court accept that his skill will be enough to be considered a special contribution or was he just at the right club at the right time with the right manager surrounded by the right fellow players. Splitting assets on divorce can be a minefield and specialist advice at an early stage is essential. Whatever your circumstances, if you would like advice about divorce and financial matters, do not hesitate to contact Rachel Smith on 0191 212 7745 or email rsmith@mincoffs.co.uk. 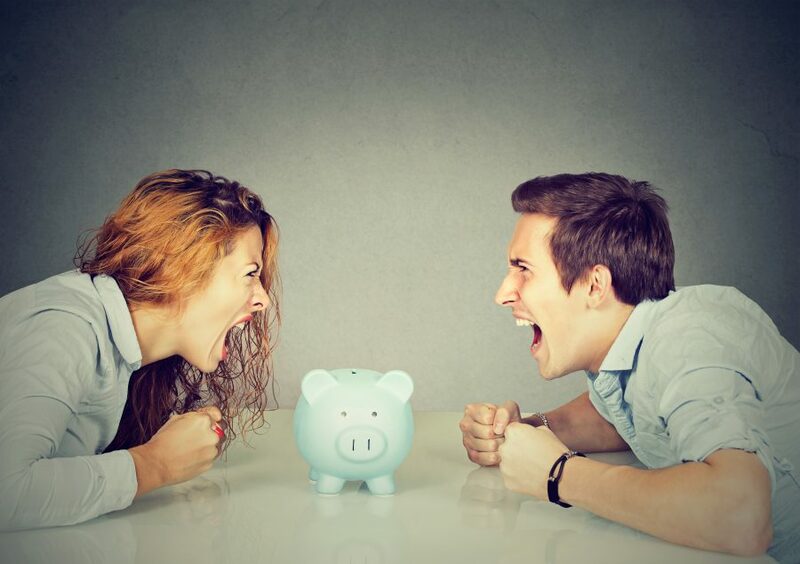 Home › News › A Fair Financial Deal on Divorce – What Does that Mean?